The plain truth is that the United States is an inefficient user of energy. For each dollar of economic product, the United States spews more carbon dioxide into the atmosphere than 75 of 107 countries tracked in the indicators of the International Energy Agency. Those doing better include not only cutting-edge nations like Japan but low-tech countries like Thailand and Mexico. Data from the U.S. Energy Information Administration on energy consumption (BTUs) per unit of GDP (PPP) shows that the United States is more efficient than about 68% of all countries. Similarly, the United States emissions of carbon dioxide per unit of GDP is better than 69% of countries. To be sure, there are a number of countries that make excellent models for how the United States might become more efficient and reduce the carbon intensity of its economy, including Japan and Germany. However, as models to emulate, Mexico and Thailand, as suggested by the Times, are probably not the best examples. Decarbonizing the economy will be an enormous task. It will be impossible if the problem is fundamentally misunderstood. 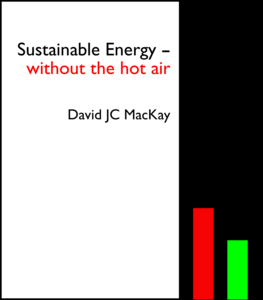 The key point is that you need to consider both the carbon associated with the country’s primary energy production and the efficiency with which that energy is used. So for example burning a lot of coal and then using the energy efficiently is a different problem from burning a lot of natural gas and using the energy inefficiently. There are problems in both, but they aren’t the same problems. The fuel-cell car that Massa selected to drive the aforementioned 300 miles only had a range of 175 – 200 miles (depending on who you believe), and there were exactly zero (0) hydrogen fuel cell filling stations en route. It gets even better: enjoy.